On King Street a gentleman stated, “pizza by the slice.” I stopped. He extended his hand to give me a pamphlet. Puzzled, I thought was “by the slice” really a novelty or a selling point? I guess with the American restaurant scene becoming a “chain nation,” it’s true. A single slice might actually be hard to find. 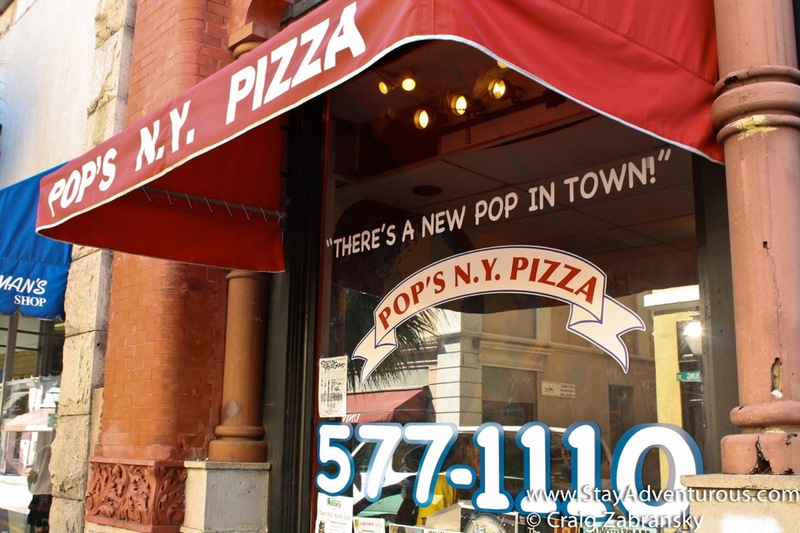 But good news for Charleston, Pop’s N.Y. Pizza serves slices right on King Street and just a block from College of Charleston campus. I might have continued walking, but the reference to New York (the N. Y.) pulled me in. I decided to test a slice. I had to. I walked in to the back and ordered a slice with meatball. It came out nice and hot and I added a little grated cheese. Then my first bite. Not bad. A second. Tasty even. But as good as New York? Seriously, is anyplace? Tip: Order a slice with meatball. 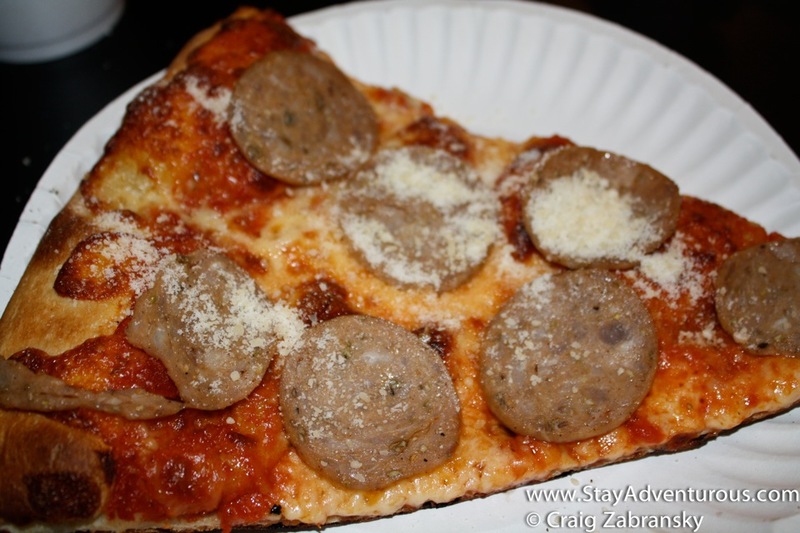 Like a true NY by the slice Pizzeria, Pop’s served a sliced meatball not crumbled mystery meat. Well, to me, that is the foundation of a good slice in my book. This is the first installment of the Culture Through Cuisine – Restaurant Week Series. This is the fourth of five on Charleston. As a former New Yorker I know New York is where the best Pizzas are made. However the picture you have of the Pop’s N. Y. Pizza really looks good.